Energetic and enthusiastic, the Queen Charlotte Chorus is Charlotte's premier women's barbershop chorus. 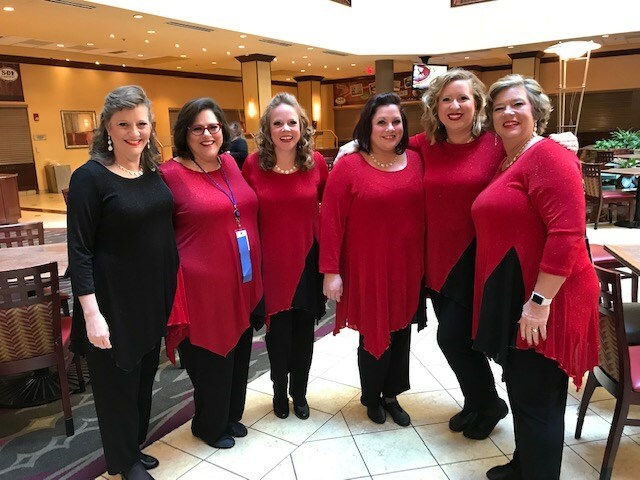 A chapter of the all-women's Sweet Adelines International, the Queen Charlotte Chorus specializes in performing a cappella music in the four-part barbershop style. 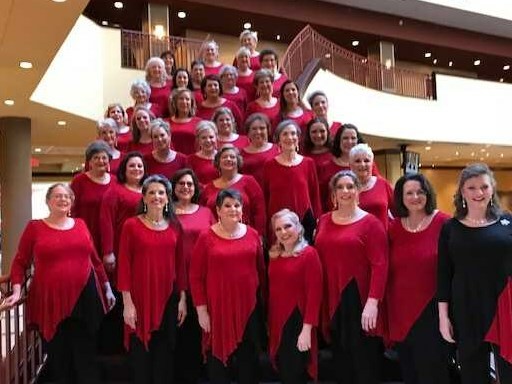 We have been singing around Charlotte, NC, and competing internationally, since 1965 and have a wide-ranging repertoire, including religious and secular music, popular music, traditional barbershop, Christmas/Holiday songs, and the National Anthem. With nearly 40 members, we pride ourselves on infusing energy and passion into all of our songs, from ballads to faster-paced uptunes, all performed in the barbershop harmony style, and can tailor our set for any occasion. 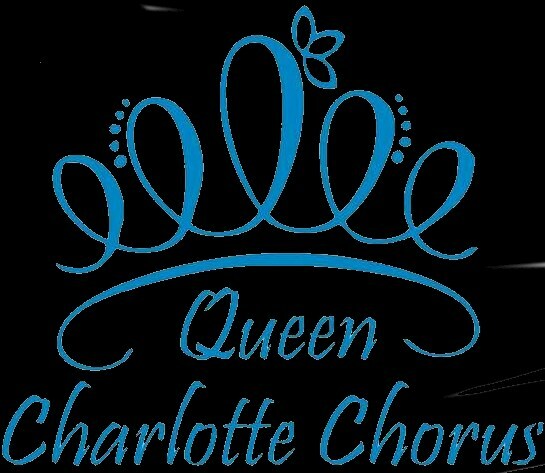 Please note Queen Charlotte Chorus will also travel to Pineville, Matthews, Fort Mill, Indian Trail, Waxhaw, Monroe, Paw Creek, Rock Hill, Catawba, Bowling Green, Belmont, Gastonia, Cramerton, Harrisburg, Midland, Mc Adenville, Clover, Edgemoor, High Shoals, Lowell, Mount Holly, Newell, Wingate, Cornelius, Lancaster, Stanfield, Huntersville, Lincolnton, Marshville, Mount Mourne.